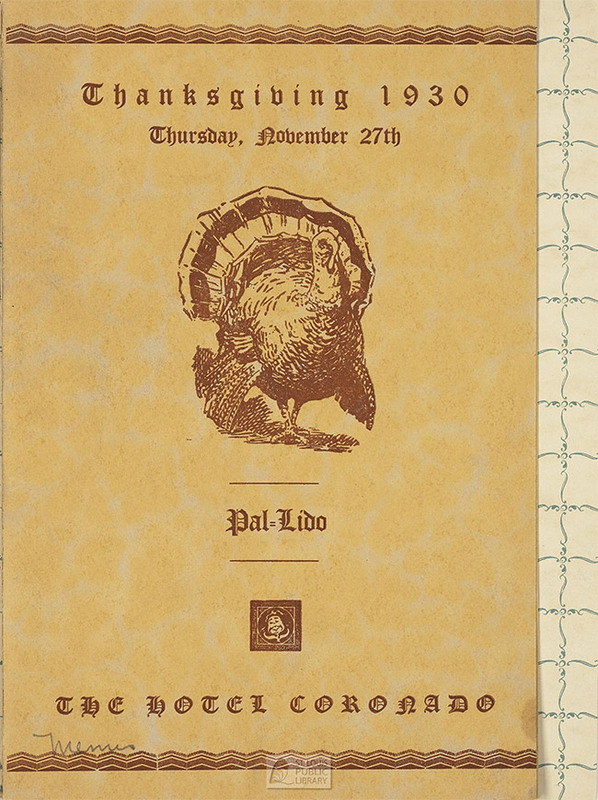 Thanksgiving 1930 menu for the Pal-Lido Supper Room at the Hotel Coronado. 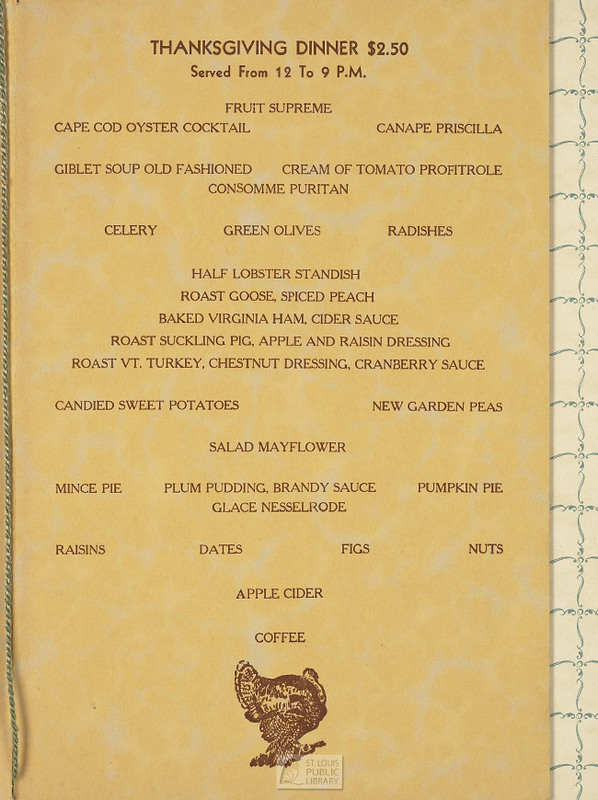 Lobster, roast goose, and suckling pig were served along with turkey at this multi-course meal for $2.50. Designed by esteemed Saint Louis architect Preston J. Bradshaw, The Hotel Coronado was built in the 1920s near the Grand Center entertainment district. 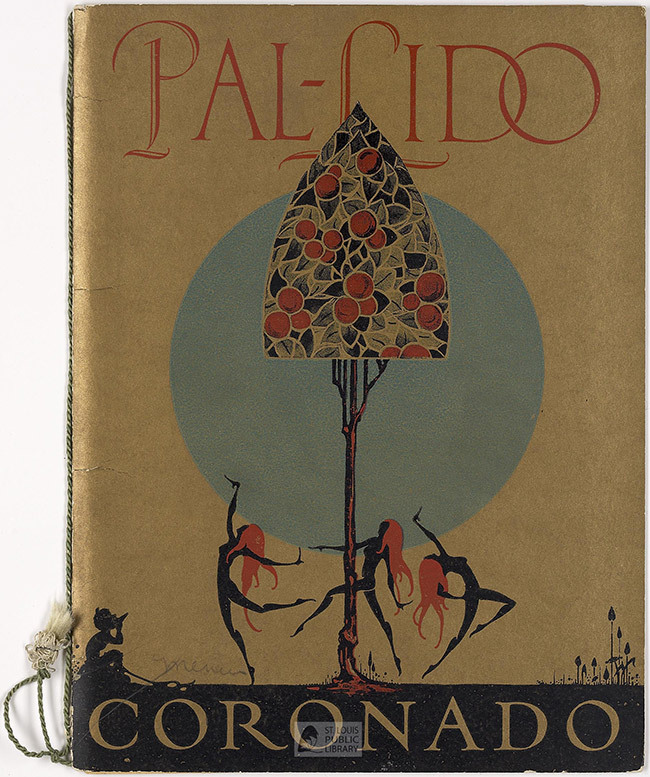 Big bands, such as Duke Ellington, played in its ballrooms and Franklin D. Roosevelt and Harry S. Truman were known to have stayed at the Coronado when visiting Saint Louis. The historic hotel, which still stands at Lindell Blvd. and Spring Ave., was transformed by a major renovation in 2003, and now houses apartments and restaurants. We are interested in adding to this collection. If you have menus from St. Louis restaurants, historical or current, or local cookbooks, please contact us at webref@slpl.org or 539-0370. Help SLPL preserve and share a vital part of St. Louis history.